Oh, Hi! It's been a while, huh?! A few nights ago, I was going through my e-mail....I mean REALLY going through it. Deleting, unsubscribing, the first step in organizing my life like I said I'd do this summer vacation (that's now halfway over). What a cluster! Things had gotten a tad bit out of control. The e-mail icon on my phone had been haunting me for a while. How did I things get to this point? No idea! I'm the person who doesn't like ANYTHING hanging over my head...let alone WELL over 1,000 e-mails! It wasn't work e-mail, these were 99.9% personal e-mails....and of course it was mostly junk. The only time I'd pop in was to check for Michael's coupons, or to check a tracking number for whatever the latest delivery was that I had on the way. However, buried amongst all the junk was a very important e-mail. My domain for "neverthesamespicetwice.com" was on the brink of expiring within the next few days! Yes, that was a whole lot of dramatic build up to get to the point...but for me this was a wake up call in so many ways. It's not like my blog would have disappeared if I didn't take action immediately, but it was time to make the dreaded decision. Should I stay, should I go, should I start over entirely. I've invested the past EIGHT years into this space. It's changed and grown along with me. The big move to Florida, an engagement, wedding planning, two pregnancies, bumpdates, motherhood. Let's not forget all the scrapbooking (old school "Day in the life of Sessy"), new friendships, jobs, recipes, meal plans, link ups and guest posts! There's no part of me that thinks of myself as a good writer, it's not like I'm one of those people who use writing as an outlet...maybe I do, but sometimes it can certainly feel like a chore. I just simply like to document life. Yes, I have a tendency to highlight the positive for the most part of course, with some boring every day details that no one necessarily cares about thrown in there too. What are the things I want to remember? Am I marketing my "brand", or am I just using this as a place where I can compile my thoughts, share my favorite things and document life's blessing big and small? This blog is MY place, maybe I should just blog what I want and stop overthinking things. For now, I'm getting back to basics with a little good old fashioned "no-frills, no-pressure blogging". Who reads this thing anyway...and does that matter? I'm not trying to please the masses. 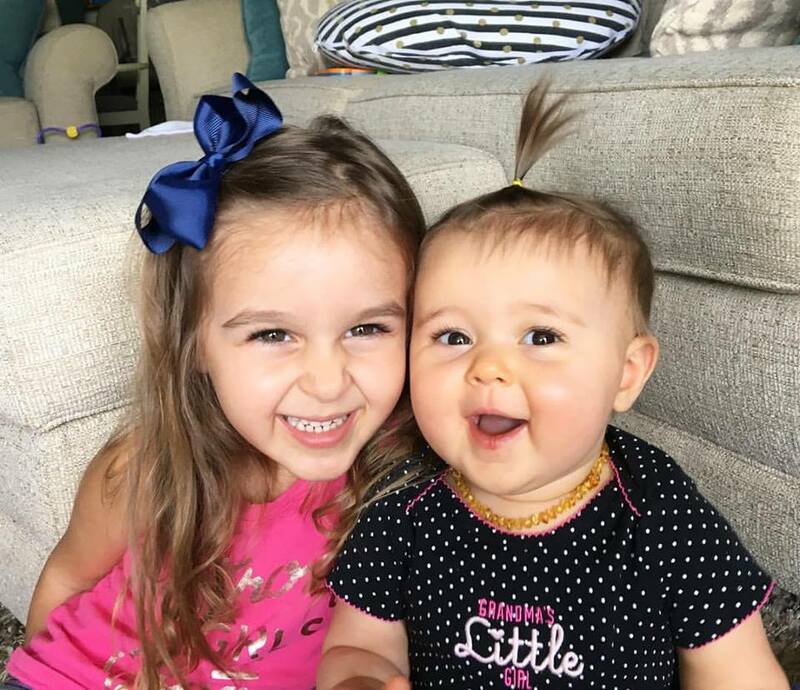 There are two tiny people that I know will maybe want to read my thoughts some day...Ella Rose and Emmy Kate. These girls are my everything, I'd like to think that they would get a kick out of checking this place out. When I thought about starting completely over, I figured there's just too much history here it would be a shame not to keep it all together. So, here I am again. Same blog, a new name. I don't know how often I'll be around or exactly which direction is coming next. Let's just start here! I still love to cook, I feel like maybe I'll share an occasional recipe from time to time. Even though Hubs and I are nowhere near parenting experts, there are definitely certain aspects of this adventure that deserve to be documented! Besides my two girlies, the two new latest obsessions include essential oils (which I'd love to post about... Young Living distributor up in here, WOOT) and planner stickers (did you know that was even a thing...no really)! Boy, I'm glad that I finally decided (at 1:00 in the morning) to take charge of my life and sort that disastrous inbox out! It's amazing how simply changing a blog name can make you re-evaluate your entire life! Even though a few years ago I said I wasn't going to change it, it felt like it was now time. If not for any other reason, I needed to freshen things up in order to have a little added motivation. "Tacos and Target" was available....5 years ago, 20-something year old me would have been ALL over that! However, I needed something a little less trendy, and a little more personal! "Dear El and Em" seems perfect because at this point, the minute I open a draft or proofread a post....I'll be picturing reading it from their point of view, years from now. This is for me, but it's also for them. LOVE you both!